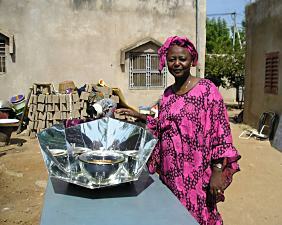 Mme Sissoko Aïssata Diarra is making a name for herself in global ecology circles as promoter of the HotPot initiative. HotPots are low-cost, easy-to-use solar ovens developed by Solar Household Energy (SHE), Inc. to save trees in Mali and other developing countries by lessening dependence on wood and charcoal. How could Mali and the rest of Africa benefit from the HotPot? What are the project’s goals for this year?